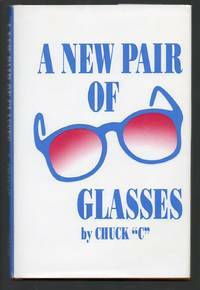 9780916733001 - New Pair of Glasses by Chuck C.
New-Look Publishing Company. Hardcover. GOOD. Spine creases, wear to binding and pages from reading. May contain limited notes, underlining or highlighting that does affect the text. Possible ex library copy, thatâll have the markings and stickers associated from the library. Accessories such as CD, codes, toys, may not be included. New-Look Publishing Company, 2003. Hardcover. Acceptable. Disclaimer:A readable copy. All pages are intact, and the cover is intact. Pages can include considerable notes-in pen or highlighter-but the notes cannot obscure the text. At ThriftBooks, our motto is: Read More, Spend Less.Dust jacket quality is not guaranteed. New-Look Publishing Company, 2003. Hardcover. Good. 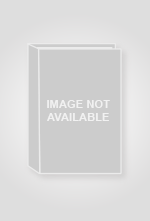 Disclaimer:A copy that has been read, but remains in clean condition. All pages are intact, and the cover is intact. The spine may show signs of wear. Pages can include limited notes and highlighting, and the copy can include previous owner inscriptions. At ThriftBooks, our motto is: Read More, Spend Less.Dust jacket quality is not guaranteed. New-Look Publishing Company, 2003. Hardcover. Good. Disclaimer:A copy that has been read, but remains in clean condition. All pages are intact, and the cover is intact. The spine may show signs of wear. Pages can include limited notes and highlighting, and the copy can include previous owner inscriptions. The dust jacket is missing. At ThriftBooks, our motto is: Read More, Spend Less. New-Look Publishing Company. Hardcover. 0916733009 Very Good Condition. Tight and Neat. Five star seller - Buy with confidence! . Very Good. New-Look Publishing Company, 2003-03. Hardcover. Used: Good. New-Look Publishing Company, 1984, Seventh Printing 1993, Very Good Hardcover / Near Fine Dustjacket. 146 pages, 5.5" x 8.5", lengthy gift inscription on ffep, otherwise a clean and tight copy. 2003-05-02. Good. Ships with Tracking Number! INTERNATIONAL WORLDWIDE Shipping available. May not contain Access Codes or Supplements. May be ex-library. Shipping & Handling by region. Buy with confidence, excellent customer service! New-Look Publishing Company. Hardcover. 0916733009 New Inside And Out. Clean and crisp pages w/no markings! You will be pleased. Excellent book! ( z1s147C ) Some very minor shelf wear on dust cover. ** Fast Shipping! ** . New. U.S.A.: New-Look Publishing Company. PAPERBACK. 0916733009 Second printing. Book has a little spotting on bottom closed edges and a little yellowing. Dust jacket has a tear on upper edge and some discoloring. Price clipped. A good copy. ***PROMPT, PROFESSIONAL SERVICE!*** . Good. 2003.